Diameter: 1/4 " To 20 "
We have always been committed to serve our clients with an impeccable range of Cold Rolled Steel Coil. Designed with perfection under the able guidance and expertise of our professionals, these coils are demanded extensively in various industries and are appreciated for their dimensional accuracy and corrosion resistance. 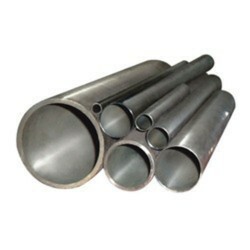 Carbon Steel: ASTM / ASME A 105 , ASTM / ASME A 350 LF 2 . We have surplus stocks 120 MT of discarded diameter used rolls of 4 Hi cold rolling mill, diameter available from 342 mm to 365 mm, detail dimension and chemistry available on request. These rolls are self-possessed mainly of pearlite with some cementite in the structure. adamite rolls are strolled than cast iron rolls and harder than other steel rolls. an outstanding feature of adamite rolls in that the inner hardness is about the same as that of the surface. adamite steel rolls are classified as ordinary. 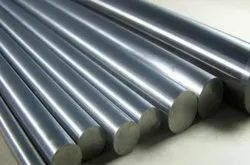 Alloy steel is steel that is alloyed with a variety of elements in total amounts between 1.0% and 50% by weight to improve its mechanical or physical properties. - Widths: 36", 48", 60", 72"
These rolls are manufactured by static pouring.After casting the rolls are subjected to a series of heat treatment cycle to obtain the final desired properties of the rolls.